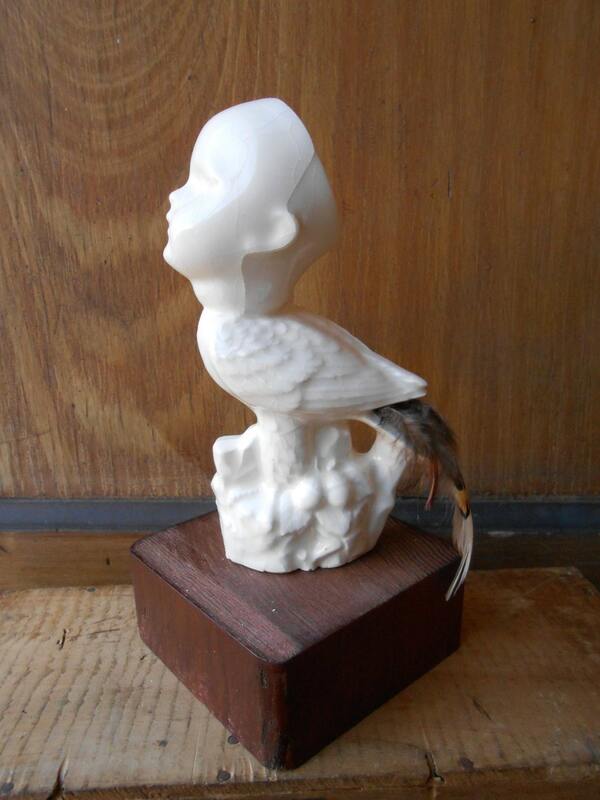 This slip cast ceramic sculpture was made using vintage molds. 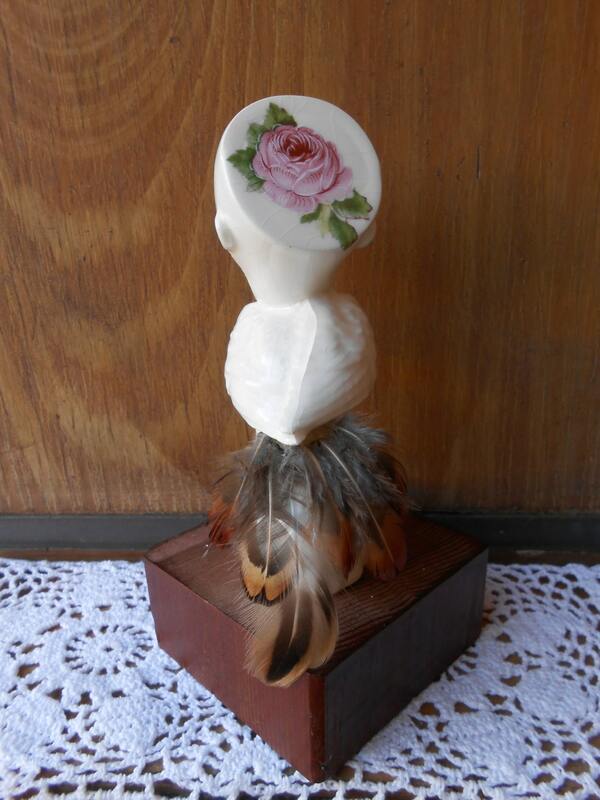 Clear glazed and shiny, real feathers adorn the tail and a vintage rose decal decorates the back of the head. 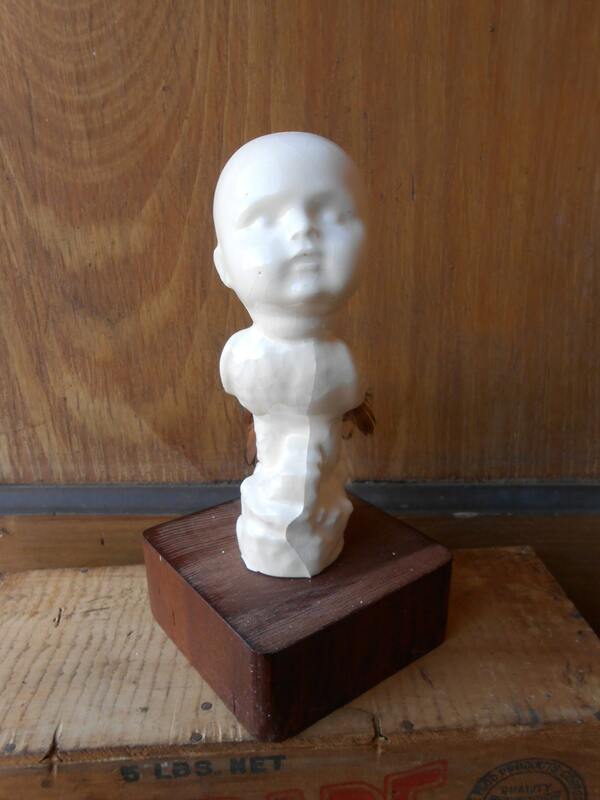 Standing on a base of old lumber that is sanded and shellacked, this guy will decorate your home with his uniqueness. 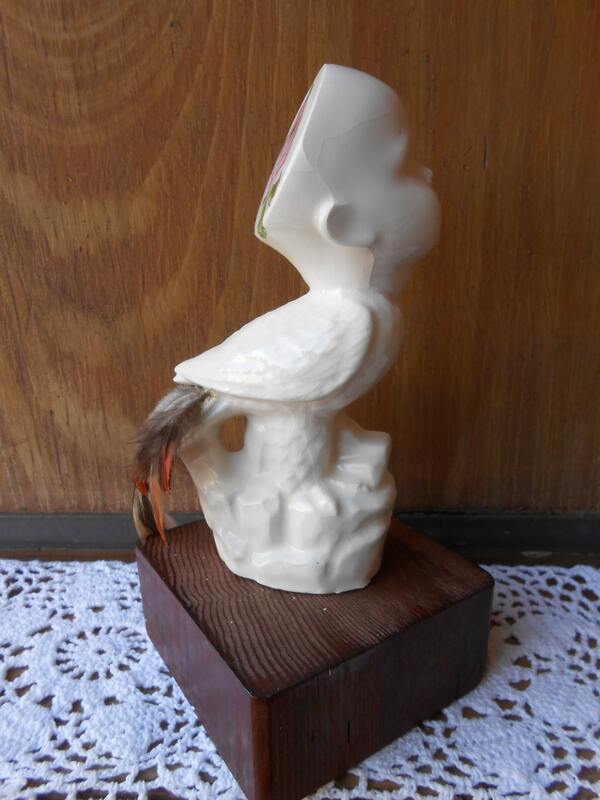 Measures 7" tall, base is 3"x 3 1/2"